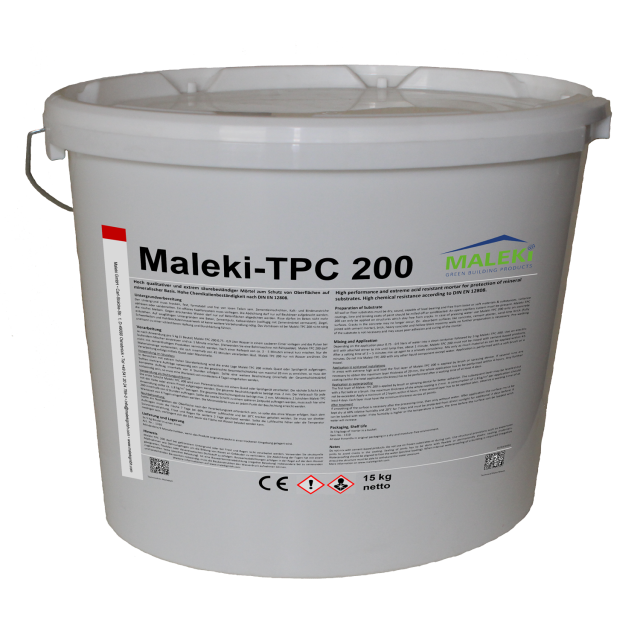 High performance and extreme acid resistant mortar for protection of mineral substrates in acid-proof installations or industrial areas. High chemical resistance according to DIN EN 12808. The product requires depends on surface 1.8 kg/m²/mm layer thickness.